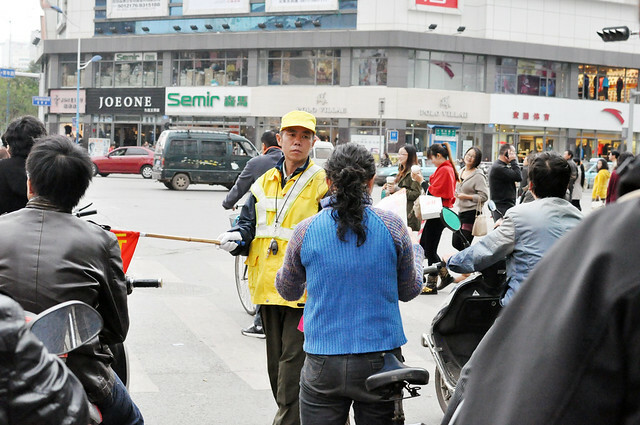 Renmin Lu, or People’s Road, is a major road that runs through the heart of Kunming, China. 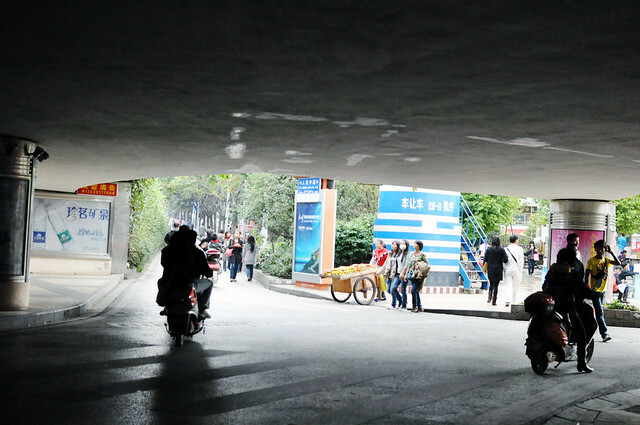 Millions of Kunmingers travel along this road to commute to and from the city’s urban core. Soon after I began documenting my daily commute, I found myself paying closer attention to the details — noises of the city that I learned to drown out. Once I started listening, I could hear the rhythmic pulse of traffic movement and the musical communication between car horns, motorcycle alarms, and bicycle bells. 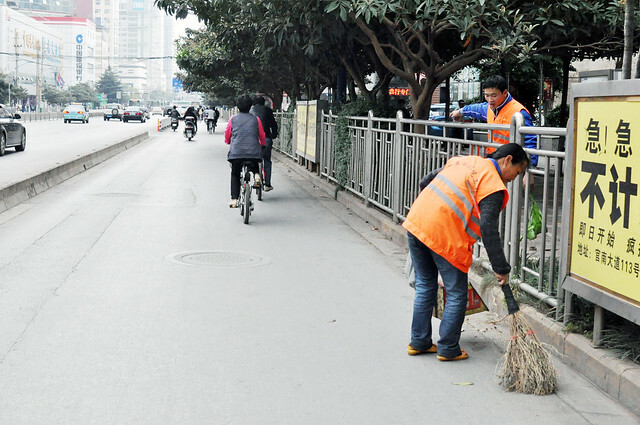 With the help of a local sound artist, Taurin Barrera, I collected field recordings of the familiar yet ever-changing Renmin Lu bike lanes. 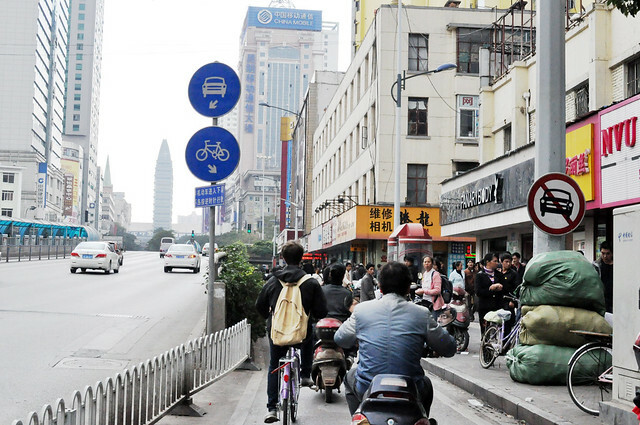 The recordings capture the snippets of conversations on the road, the pop tunes blasting out of sidewalk shops, and the rickety sound of bicyclists pedaling to their destinations. As I replay the recordings, I realize I’m not only listening to the sound of traffic fading in and out; I’m learning to pay attention the nuance of human interactions in an environment that is in perpetual flux. 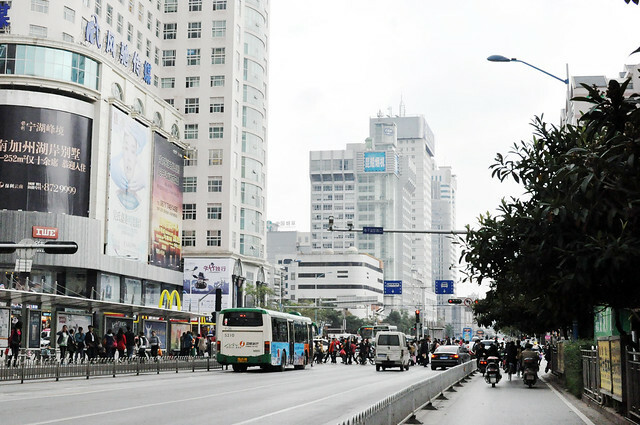 Entrance of Xiaoximen, one of the busiest intersections in the city. The field recording captures a sense of constant movement that contradict the stillness of this photograph. Post and photos by Sewon Chung. 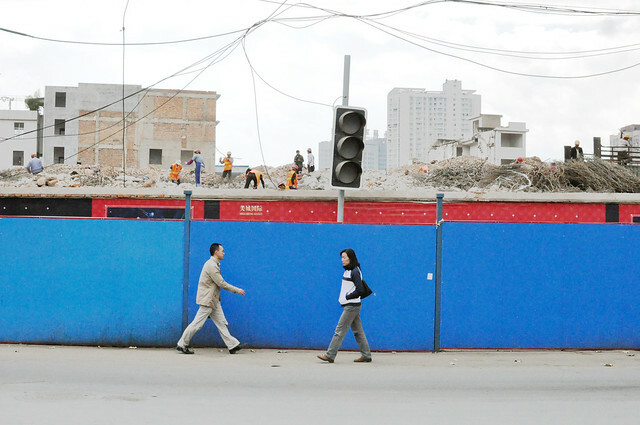 Field recordings by a Kunming-based sound artist, Taurin Barrera. Thank you, Szening and Philippe! I really love having the extensive bike network here, though I wonder what will happen to them as the city continues to change quickly. It’s been really interesting to listen to the city more closely.